Preserving the integrity of the pharmaceutical product, ensuring the maximum level of sterility and protecting both the operator and the environment by means of highly specialized aseptic containment process systems. For all your different requirements we are available, offering you dependable support and a Project Management service that guarantees you a detailed personalized reply. IMA Life can comply with all the new requirements of the aseptic and pharmaceutical markets, offering a product range that benefits not only from consolidated technology gained over 50 years of experience, but also from a continuous partnership with leading pharmaceutical companies worldwide. Our product range includes blowing and washing equipment, depyrogenating tunnels, liquid and powder filling machines, labeling machines, isolation systems and freeze dryers for industrial, pilot and laboratory applications which can be combined together with automated loading and unloading systems. IMA Life operates through five production sites. 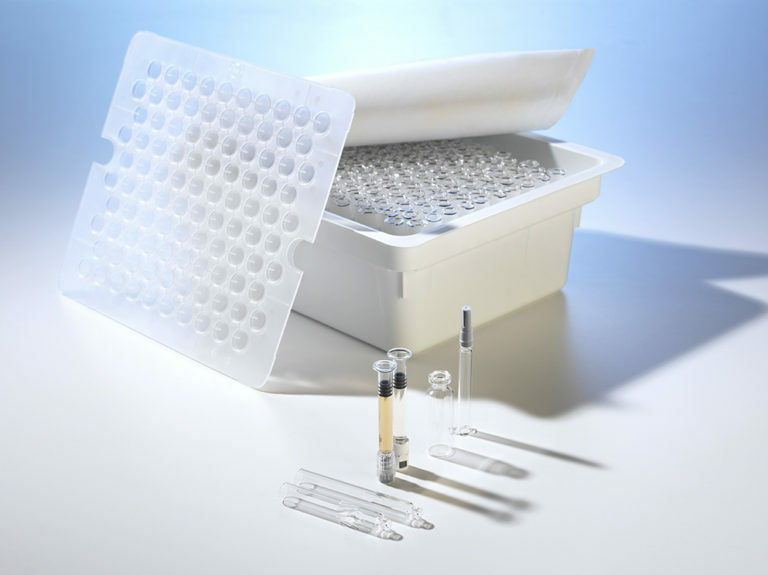 One of the major challenges for IMA Life is to implement latest technologies in aseptic filling, whilst ensuring compliance with the highest cGMP’s standards in filling accuracy. From internal washing through de-pyrogenation, up to filling & capping operations, all our efforts are targeted to avoid any possible contamination risk while delivering the highest performance of up to 600 pcs/min. 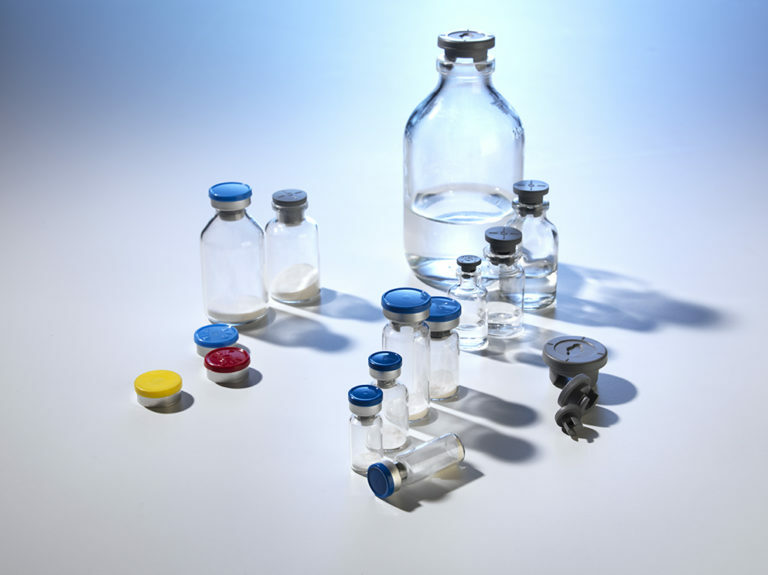 The very compact and versatile design of IMA Life machines conceived for vial/ampoule liquids and powder processing, allows for suitable integration under isolator or different containment solutions without changing the basic machine configurations, thereby minimizing human interventions in the processing area. Our highly technological level of rotary and linear external washers completes the range, and perfectly fits the markets increasing need of decontamination solutions for the removal of product particles from the outside of the container. Producing more than 200 machines per year in the field of liquids and powder filling, most of which are integrated into complete processing lines, IMA Life can manage large-scale projects, designing and manufacturing customized solutions to meet special end-user requirements. Product Fill-finish in an aseptic environment is a critical operation in terms of accuracy, precision and reliability. IMA Life’s new generation of highly flexible filling, stoppering and capping machines for Ready-to-Use sterilized syringes, cartridges and vials in nest and tubs, fully conforms these requirements. IMA Life’ compact and ergonomic solutions have recently been improved by the innovative application of advanced robotics, hereby replacing the standard machine motions, with an aim to assuring a smooth production process, minimizing the space, and drastically reducing human intervention. Ensuring very high performances of up to 30.000 pcs/hour, the absolute break-through in technology is the ability to perform 100% check weighing of the whole of processed & nested syringes, with single rejection from the nest. 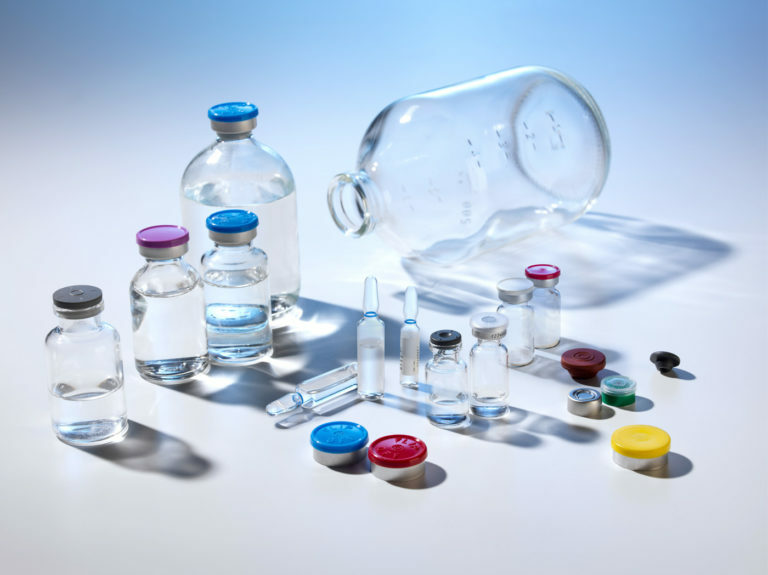 For more than half a century, IMA LIFE has provided the benchmark for freeze-drying solutions to the pharmaceutical and biotech industry, but its origins arise from when the Edwards Vacuum company was founded in UK at the very beginning of the 20th century. The most comprehensive range of custom- built industrial freeze dryers are available as a stand-alone unit, or as part of a complete integrated system and are combined with the most versatile range of automatic loading & unloading systems for vial transfer to/from freeze dryers. This wide range also includes solutions for pilot work or clinical trial production or even Lab R&D Freeze-Dryers (for USA and Canada, only). IMA Life’s steady investments in R&D initiatives have resulted in innovative solutions in Lyophilization Process and Technologies like, amongst all, VERISEQTM Nucleation (using Ice Fog), Fusion Plus, a patented surface treatment that eliminates the occurrence of “sticking” stoppers in shelf, WiSe, Multi-point, battery-free wireless temperature sensors, developed for monitoring product temperature and MS, Mass spectrometry, a powerful detection technique of contaminants in a closed environment. With over 1000 freeze dryers installed in over 50 diﬀerent countries, IMA LIFE has a truly global presence with facilities well positioned to serve customers in all corners of the world. Whether in-line, intermittent or continuous motion, the IMA Life high-speed bottle filling & closing machines for liquid pharmaceuticals are the result of over 50 years of experience in the field. 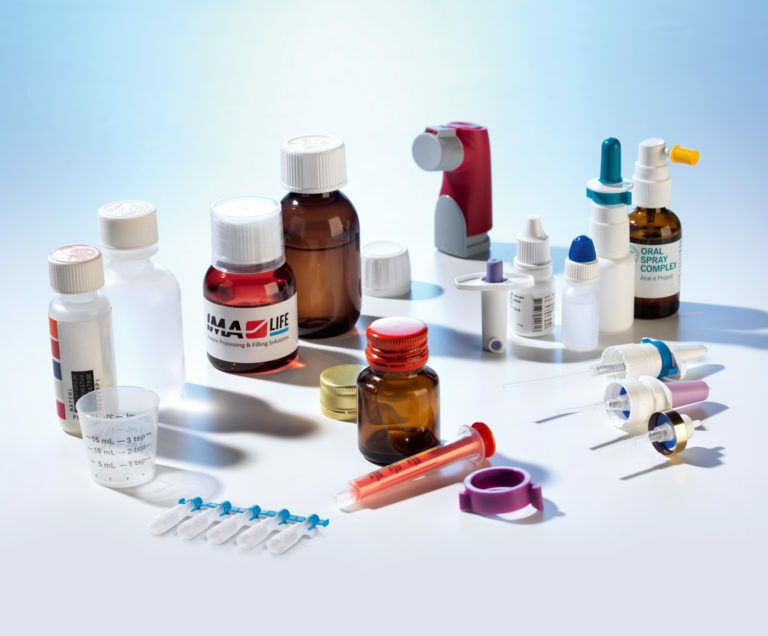 Thanks to a very high degree of modularity and flexibility, IMA Life machines can clean and dose different types of products and apply all types of closures typical for pharmaceutical applications, such as screw caps, push-on caps, droppers, reducers, pumps, dip tubes, alu-caps, ROPP caps, etc. Robust, efficient and safe, these series of machines are capable of producing under extreme workloads, ensuring production performances even up to 450 pcs/minute. Designed for working as stand-alone machines as well as in integrated lines, they represent IMA Life’s response to the demands of flexibility and reliability coming from the pharmaceutical market today. Hundreds of units installed and working worldwide are living proof of the high technological standards and quality present within all IMA Life’s machines. IMA Life´s wide range of completely automatic linear and rotary labelers for vials, ampoules and bottles, comprises different models, which are globally renowned for their reliability, their versatility, and their high performances of up to 500 pcs/minute. Operating as “stand-alone” or integrated in processing & packaging lines, they can offer various solutions for the application of any kind of self-adhesive labels, (wrap-around, front, rear or both sides), on standard, or irregularly shaped plastic or glass containers. The consolidated technology acquired over many years of experience makes IMA Life a leading company in this field. 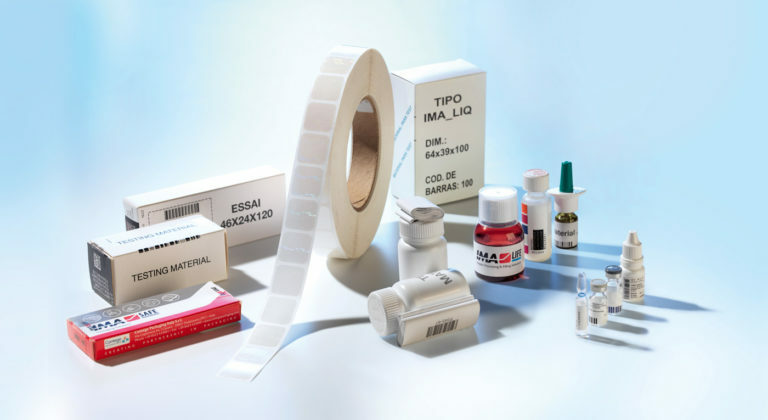 IMA Life can also offer different solutions with its series of carton labelers, to align the packaging of pharmaceutical products to the newly emerging statutory requirements in terms of Track & Trace and Mass Serialization. Highest precision labelling is coupled with quality verification processes, in order to guarantee the traceability of each single product and safeguard the package. Labelling, Serialization and possible 100% Production Quality Control are offered simultaneously at a high production flow of up to 400 ppm. 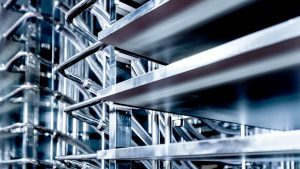 Space saving requirements can be totally fulfilled by IMA Life’s well-known extreme compact design versions enabling effective integration into the most challenging of packaging lines. IMA Life is provided by two R&D Laboratories: IsoTech Laboratory is located in Ozzano headquarters while the Lab4LIFE in the Tonawanda facility, USA. From these facilities we can offer a worldwide assistance and support, performing controlled testing. This pharmaceutically compliant laboratory houses an infeed Rotary Table together with a Filling and Stoppering machine under isolation technology. It is specifically designed to carry out tests and demonstration cycles. The main objectives are to perform internal research and to develop activities/training sessions in cooperation with Customers. This new Lyophiliser Process Development Laboratory consists of a certified clean room, analytical support laboratory, product formulation, filling and full size freeze-drying equipment necessary for the development of pharmaceutical and biopharmaceutical products in batch sizes up to 20Liters. IMA Life North America • 2175 Military Road – Tonawanda – NY14150, U.S.A.